Widely used in the confectionary world. Brown sugar flavor brings in a high level of reliability and assurance of balance in your favorite treats. 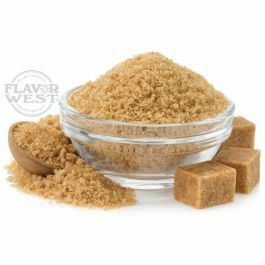 The sweetness is what completes your desserts or pastries Type: Brown Sugar Water Soluble Flavoring. Ingredients: Natural and Artificial Flavoring, Ethanol and Water. USP Kosher Grade Flavoring. Usage Rate: 15-20% for E-use. Flavor suitability: Suitable cakes, yogurt, ice cream, pudding, coffee, tea, cream, and much more. Specific Gravity: 1.02 No Refunds on Flavoring.